Trap and stop houseflies, mosquitoes, gnats, moths and other flying insects without the use of insecticides. Just peel and stick! Use on windows, screens and sliding doors. 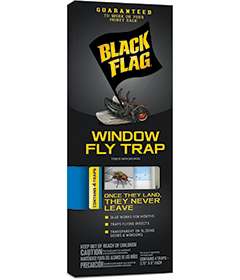 Remove thin protective strip from the back of the Black Flag® Window Fly Trap. 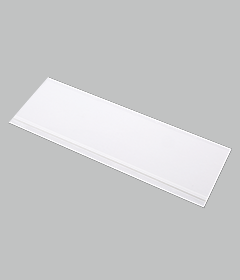 For best trap adhesion to the window, screen or sliding door, clean those surfaces from dust and grease. Replace every few months or when the trap is full of flies.